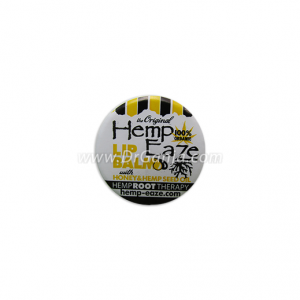 The Cannabomb Jasmine Kush Bath Bomb is named after the Jasmin or Yasmin strain, an indica dominate hybrid developed by medical cannabis supplier Tikun Olan. 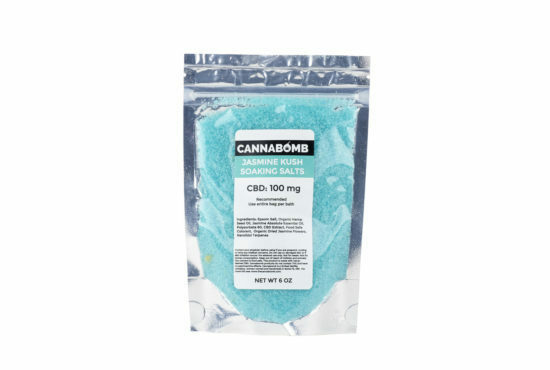 Like the cannabis strain this CBD infused soaking salt delivers on a multitude levels. Revitalizing, alleviating inflammation and chronic pain and leaving you feeling relaxed and loose at the end of your soak. 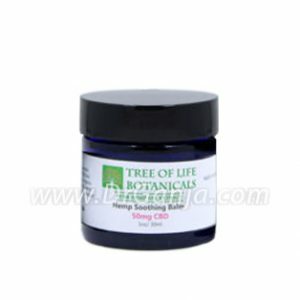 The combination of all natural full spectrum hemp oil CBD and the powerful jasmine essential oil have been known to reduce depression, and promote healthy skin. Jasmine oil has been known to also enhance your libido and feelings of passion, making it a perfect gift for your partner. The properties of jasmine essential oil and full spectrum hemp derived CBD make it an ideal tool that can induce long-lasting, restful, and undisturbed sleep. Jasmine oil can act as an expectorant, sedative, and antispasmodic which can combine to help you indulge in a peaceful good night’s sleep. By reducing signs of insomnia and sleeplessness, you can get more productive at work and in your personal life. Baking soda, citric acid, kaolin clay, epsom salt, organic canadian hempseed oil, cbd full spectrum hemp extract, cream of tartar, jasmine now brand essential oils, polysorbate 80, isopropyl alcohol, food safe colorant.